Americans have accumulated over 13 trillion dollars in debt so remain calm and be aware that you are not the only one facing this financial set back. If you are hoping that bankruptcy is your solution to financial freedom, the first thing you need to do it sit down and record all your debt. Chapter 7 bankruptcy does not eliminate all debts. Some debts that are not dischargable include student loans, child support obligations, and an recent tax debt. Take account of this before moving forward with your decision. 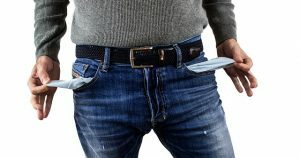 There are limits on wealth and income for chapter 7 bankruptcy so before you can file you will have to provide a full disclosure of your debts, income, and assets for the court. Use a free online calculator to make sure your income is less than the state median income for filing chapter 7 bankruptcy. Chapter 7 bankruptcy requires you to receive credit counseling from a certified source. These courses are crucial to the process and necessary to move forward. The purpose of these courses is to ensure you are able and knowledgeable when it comes to handling your own debt. They will teach you debt and money management and explain to you why bankruptcy should be your last resort to gaining your financial freedom. When you are finished with your counseling and courses you must file your certification in order to move forward with the process. Before you begin working on files or documents, find yourself an attorney who specializes in bankruptcy. An attorney will make sure that you complete all of the steps and paperwork properly so that you don’t miss any debts or get your case thrown out. Ask your attorney for a list of rules for filing bankruptcy explained during your meeting. Before filing for bankruptcy make sure that you understand the required forms you are going to have to fill out and submit. One of the many forms you will have to sign and fill out is a form for something called the means test. For chapter 7 bankruptcy eligibility you may have to fill out more than one. You must file the 22A–1 forum which is a statement of your monthly income. It compares your income with your state’s median income of similar sized households. If your income is below the median you won’t have to worry about filling out a second form. There will be several dozen forms you will be responsible for filling out. Some of these forms include a list of unsecured creditors, a Statement of Financial Affairs, a multi-part questionnaire Statement of Intention and more. These forms will give the court all the your financial information that is necessary to file your bankruptcy petition. After completing your forms, your attorney will submit them and file a chapter 7 bankruptcy petition with a federal court so that your case can be scheduled. Upon filing, creditors will no longer be able to call you or threaten you with wage garnishments and lawsuits. Expect to pay a fee of $335 dollars if you are not eligible to have the petition fee waived. After the petition fee is taken care of, the court will present you with a case number. Soon after, a bankruptcy estate will be created. Anywhere between three and six months after filing your bankruptcy petition you will be notified of a discharge. That means all of your eligible debts will be forgiven by the bankruptcy court. Soon after your discharge your case will be closed.